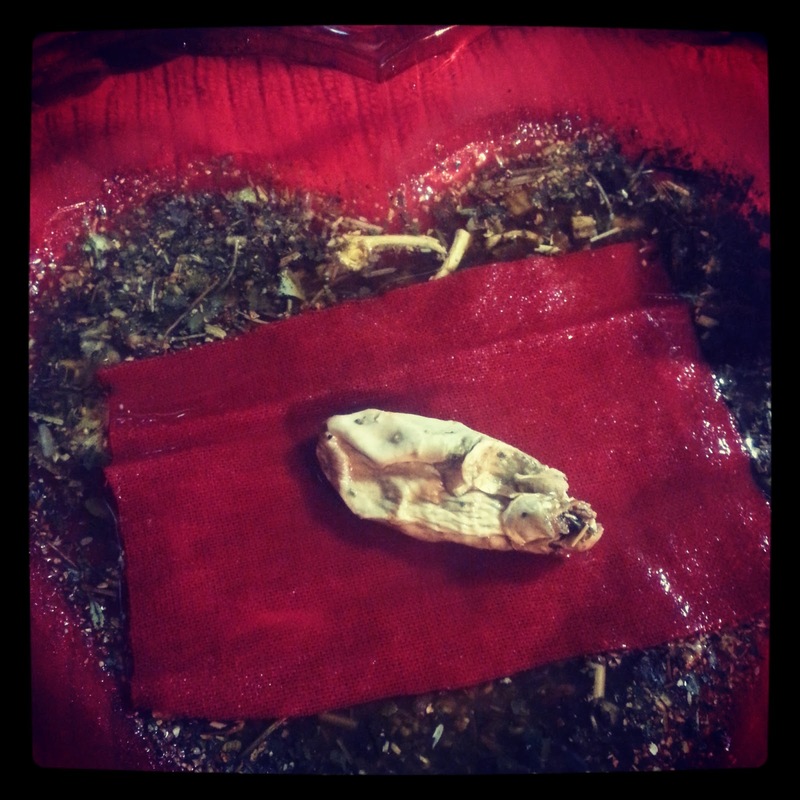 A mojo bag or sometimes referred to a gris gris bag is a prayer bag filled with herbs, roots, curios, personal items, petitions, and fed with oils, spiritual waters, bodily fluids, or whiskey. A mojo bag is alive with hot energy, Spirit, or purpose. It is very alive with magickal power and should be treated as such. It should be kept as though it were a live pet, tending to it daily, keeping it safe, talk to it, hold it close to the body, bond with the bag and it’s spirit. We do this to our plants in our gardens or in the homes, it is said that if you talk to your plants, it keeps their spirit happy and alive. This true for a mojo bag as well. Some people see that it is similar to a wanga packet, west african spirit bags, or a native medicine bag. In hoodoo, mojo bags usually have an odd number of ingredients in it that relate to the purpose of the bag and it is worn in contact with the carrier’s skin so it is kept out of prying eyes or from being touched so it does not lose its potency and become in essence, tainted. Once it is filled with the petitioner’s choice of ingredients, breathed into, and tied, some people will attach small curios or charms to the outside of the bag, then it is smoked with incense or prayed over. It is then fed with a cologne, whiskey, hoodoo oils, or bodily fluids. Feeding the mojo is also sometimes called dressing the mojo. It is kept activated, hot, energized, and alive by feeding it regularly, either daily or weekly, and eventually maybe just once a month. There are so many traditional ways to create and keep a mojo. There are also a variety of reasons to make a mojo bag. I am just giving you my own personal “how to” on this subject. To draw a new lover, you could sew a small red flannel bag with a draw string and add some love drawing herbs. 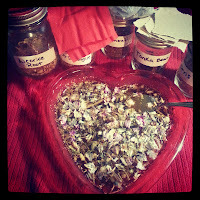 When I add herbs, roots, or curios to a mojo, jar spell, or candle I tell each ingredient what it is being asked of specific to my intention of the goal to be accomplished. This is me communicating with the spirit of that plant or energy. It also helps me to really keep focused on what I am working and not have doubt or a wandering mind to something else that might be going on that day. Ok, moving on, next you could add a sigil for love from the Book of Moses, your petition paper, and a clip of your hair. Next, use your breath to breathe life into it. I will speak my intention into the bag telling the bag what purpose I am charging it for. Then, tie the bag closed making a small neck, so nothing falls out of it. Pray a love chant or prayer over the bag, or speak something from your heart. Burn some love drawing herbs as incense on charcoal disc, or resin incense like copal or frankincense, and run the bag through the smoke of the incense. 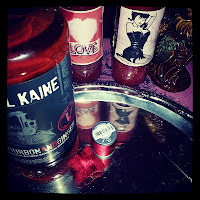 Feed the bag with your sexual fluid and/or some hoodoo love oils. Carry the bag in your bra or someplace out of sight and close to your skin. Other places to keep mojo bags are in your undergarments dresser drawer, between your mattress, at the front door, in your purse, or kept on an altar out of sight. Follow your instinct, your gut, allow spirit and intuition to guide you through this. For a money mojo bag, you can make a similar bag by using money drawing herbs, business herbs, gambling herbs, etc. For a protection mojo bag, put in a picture of St. Michael the Archangel, protection herbs, etc. Disposing of a mojo bag requires opening and emptying out the ingredients or burying the whole bag. However, most mojo bags are kept and then stored away for later use. If it goes inactive because it’s not fed and carried. Start to pray over the bag, talk to it, to wake it back up, run it through incense smoke, and start feeding it as you did when you first activated the mojo. After telling your herbs what you are wanting from them to aid you, breathe into the bag, speak your intention. Then, tie the bag making a neck, smoke with incense such as frankincense, three kings, home made incense from the ingredients inside the mojo, or Better Business incense. Pray Psalm 108 over the bag, feed with Better Business oil or whiskey, carry the bag next to your skin during business hours or keep in your cash box or register. 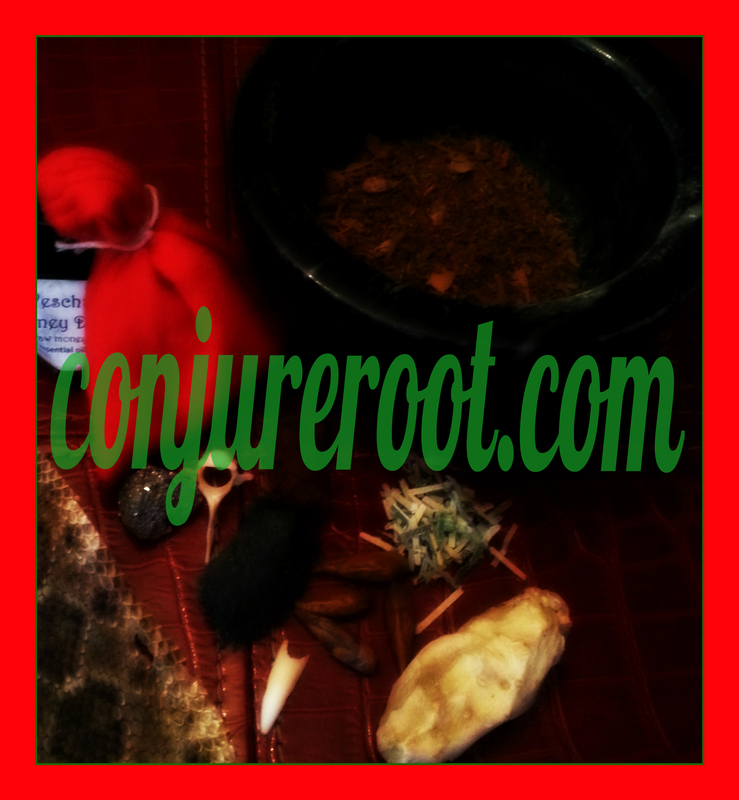 Same method as above, speak to each ingredient, breathe into it, speak your intention, and tie the bag making a neck, smoke with incense such as frankincense, three kings, home made incense from the ingredients inside the mojo, or a Come to Me, Love Me, or other love incense. Pray Psalm 138, The Divine Hummingbird, Solomons Love Prayer, or other Love prayer over the bag, feed with Come to Me, Love Me, or other love Me oil or whiskey, carry the bag next to your skin or under your mattress. This method is more of a start to finish process, and I will give you a basic way of doing this, but by all means develop your own style as you will. 🙂 This is an instruction on how to actually make a mojo packet not a mojo bag. The difference? A mojo bag is a sewn bag with two sides a string at the neck as a draw string to close it or placed around the neck to tie it shut. A packet is just that, mojo folded into a packet and wrapped with thread to keep it sealed. Here is an image of the beginning process after you have obtained red flannel fabric, red thread, scissors, petition paper, and herbs. (It was for love work including dominating a man). Cut your flannel fabric about 3 to 4 inches by 3 to 4 inches, creating a square piece. Boil water on the stove and gather the herbs appropriate to your work. Tear your paper into squares for the petition paper. As you can see in the image here, I have flannel and paper ready for these love packets. Place these raw ingredients in a shallow pan, like a baking cookie dish. I used three tablespoons of each ingredient and one crushed High John Root. Once the water has boiled, pour this over the raw ingredients in the cooking sheet. I used only a cup to two cups. Allow it to steep with the herbs until cool. Place the red flannel on top of this concoction until it absorbs the liquid. Then remove (allow bits of ingredients to remain on flannel if they stick) the flannel and lay across a safe place to allow it to dry. Take your paper for the petition paper (no writing should be on the paper, in other words, do not write out the petition on the paper YET) and lay it on top of the concoction. The paper is going to absorb the water. Take it back out and place in a drying area. Strain the herbs and water and store the saved water to use as a bath or floorwash ;). Once the flannel and paper have dried. 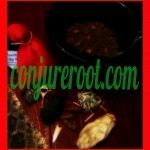 Gather any type of other extra curios like pyrite, mojo wishing beans, or lodestone and personal concern for the mojo. Place them across the mojo flannel and fold it towards you, turn and fold, and repeat till you have a little packet of mojo. Take out your red thread and wrap the mojo packet towards you while focusing on the petition. Wrap it until it is secured then tie it off with odd number of knots. Name it and feed it some whiskey, carry it like all other mojos, by the skin out of sight. Keep it fed though weekly.